Wally's Wine & Spirits, one of Los Angeles' top wine stores, is being sold by founder Steve Wallace to a group that includes store co-owner Christian Navarro and Maurice, Paul and Armand Marciano, founders and executives at global fashion firm Guess. At press time, Navarro expected the deal to close in June, pending approval by California's Department of Alcoholic Beverage Control. Maurice and Paul Marciano are the chief investors; Navarro will take over as president and COO of Wally's and Armand Marciano will be CEO. 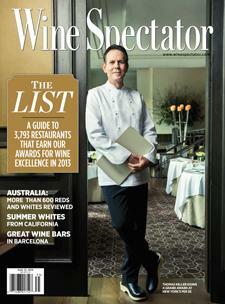 Wine Spectator's Mitch Frank reports.